If you have a budget of Rs. 10000/- then you can get a pretty good graphics card that offers good performance in almost all games. Graphics card is the most important component especially for gamers who want to enjoy all the goodness of latest high-end games on their PC. Graphics card can costs as low as 2000 rupees and can go as high as 60000 rupees or more. I have previously written an article about best graphics cards under 5000 rupees but here I am going to provide you the list of best graphics cards under 10000 rupees that you can buy in India. Graphics cards under Rs. 10000/- are categorized as budget mid-range graphics cards because true mid-range graphics cards costs around Rs. 15000/- to Rs. 20000/-. I have also written any useful posts on graphics card in this blog which you can find below. How to find the best graphics card in budget? How to get maximum performance from your graphics card? Here is the list of best gaming graphics cards under the budget of 10000 rupees in India. These Graphics cards are from Nvidia and AMD/ATI brands which are the two major manufacturers of graphics cards in the world. Here are the best nvidia graphics cards under 10000 rupees that you can buy in India. Geforce GT 740 is truly a value for money graphics card that offers good performance at an affordable price. The cards costs well under 10k and it is one of the most popular cards in this range. GT 740 is a graphics card that packs enough power to run almost all games with decent graphics settings. It comes with 384 cuda cores with options of DDR3 and GDDR5 memory on-board. It is available in 1GB and 2GB variants with memory interface of 128-bit. Note: More is the Cuda Cores, the more powerful the card will be. This rule is same for stream processors for AMD/ATI. To learn about cuda cores, memory type, memory interface and all major graphics card components just go through the link given below. Geforce GT 740 is graphics card for gamers who are on tight budget and want a graphics card at around 8k. GT 740 can run all the latest games on medium-low graphics settings with high-resolution. It can run the older games on high graphics settings at maximum resolution with no fuss at all. The card requires a 6-pin additional power connector and needs a good 400W SMPS for its efficient working. 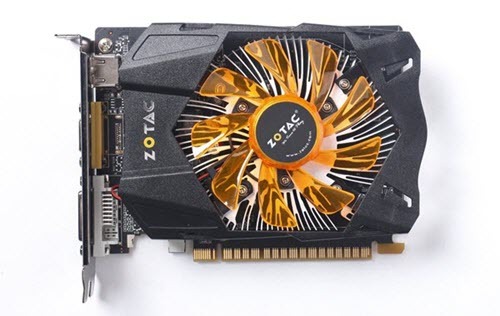 Geforce GT 740 is available from brands like Zotac, Asus, Gigabyte and you can buy it online from the link given below. You can get Geforce GT 740 at around 8k rupees. An OC or Overclock version of the GT 740 is also available which has higher clock frequencies for GPU and Memory. Geforce GTX 750 Ti is the best graphics card that you can get if you have the budget of 10k. It is roughly twice as powerful as GT 740. Geforce GTX 750 Ti comes with 640 cuda cores which is 256 more than the GT 740. The graphics card comes with GDDR5 memory configuration and having 128-bit bus width. 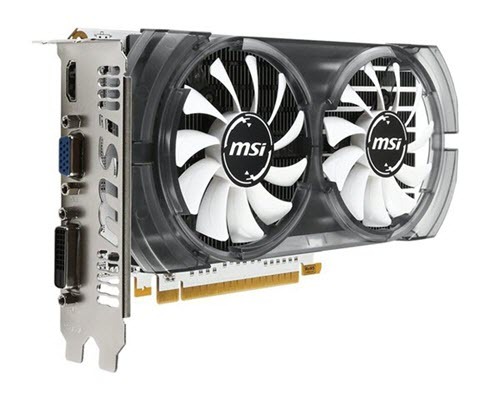 Based on the latest Maxwell architecture Geforce GTX 750 Ti is quite a powerful graphics card and it can run all the latest games on medium-high graphics settings on 1080p resolution. So if you want a really powerful graphics card at 10k rupees then this is the card you should buy. There is a OC or Overclock version of GT 750 Ti available that comes with higher clock frequencies both for GPU and Memory. Geforce GTX 750 Ti is available from brands like Asus, Zotac, MSI, EVGA, Gainward, Gigabyte. You can buy Geforce GTX 750 Ti at great price from the link given below. Here are the best AMD graphics cards under 10000 rupees that you can buy in India. Radeon R7 260X is a very good graphics card from AMD that you can buy under budget of 10000 rupees. The performance of R7 260X is comparable to that of GTX 750 Ti. In fact GTX 750 Ti is a tad faster than R7 260X in some games. R7 260X comes with GDDR5 memory and the maximum amount of memory in which this graphics card is available is 2GB. R7 260X needs a 6 pin power connector for its working. If you are an AMD fan then R7 260X is the one card that you should look for. This graphics card is available from top brands like Asus, Sapphire etc. Radeon R7 360 is the latest mid-range graphics card from AMD. The performance Radeon R7 360 is almost similar to that of R7 260X. Well in a true manner it is just a re-branding of the older R7 260X graphics card. If we compare it with GTX 750 Ti then the performance of Radeon R7 360 is almost similar to that of GTX 750 Ti. In some game benchmarks Radeon R7 360 wins and in some GTX 750 Ti takes lead. Radeon R7 360 comes with GDDR5 memory with maximum capacity of 2GB. The card requires an additional 6 pin power connector. It is available from big brands like Gigabyte, Sapphire etc. The card is compatible with the latest Windows 10 operating system and you can buy it at an amazing price from the link given below. Well I have listed down the best graphics cards under 10000 rupees that you can buy India. If you have queries regarding these graphics cards or getting confused on which graphics card to buy then you can ask me by leaving a comment below. How to check if your PC can run this game? gtx 750 ti has not dx12. I can’t run Quantum Break on it. Yes it can run it. I have seen many users play Quantum Break on GTX 750 Ti. I know it is DirectX 11 but it can run this game. You just have to make sure that you have DirectX 12 installed in Windows. the card will run the game in compatibility mode for DirectX. Hello sir! I want to ask a question…i am going to buy a new gpu and i hav 2 choices…One is r7 260X at (Rs.4600) and the other is RX 460 at at (Rs 7000)!!! So which would be nice for gaming….Also i have to buy a new psu to support the card…So can u suggest a psu with it. (One in my mind is Corsair VS Series VS450 – 450 Watt SMPS)…My budget is low i.e.9000rs..
Go for Radeon RX 460 as it is newer graphics card and way more powerful than R7 260X. For PSU go with Corsair VS450 only. Sir,Should i get gtx 560 non ti (at RS.3600) 1gb, or gtx 650 ti at (6000rs. ), or gt 1030(rs.6100)?? 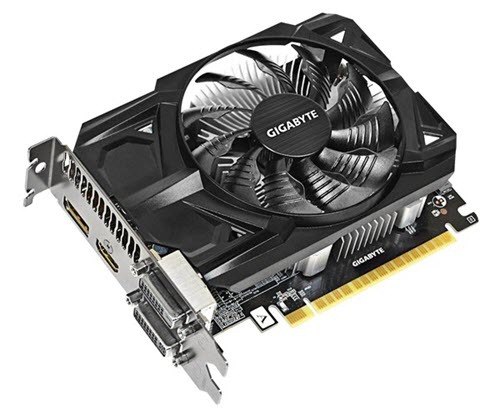 also if gtx 560ti plz recommend a case and a psu as my case is small and psu is weak…..My budget is 8000Rs…And is there any noticeable diffrence between 3 of these cards? Go for GT 1030 as it is a newer card and will perform better than the others. Also it has much lower power consumption and requires only a 300W PSU for its working. I’m looking for a graphic card at rs.7000 range..I don’t know if I should go for Nvidia 1050 or the amd..does amd perform better at lower budgets? For low budget it is better to go with Nvidia as it has better cards in budget price range. It ok but i would not advise it because it may cause damage to the card or slot if you do it several times, so be careful. i have an i3 processor… which graphic card would u suggest and does my cpu processor have any effect on the graphic card? I have a 15000Rs. budget..which graphic card would u suggest? I suggest you to go for Zotac GeForce GTX 1050 Ti. 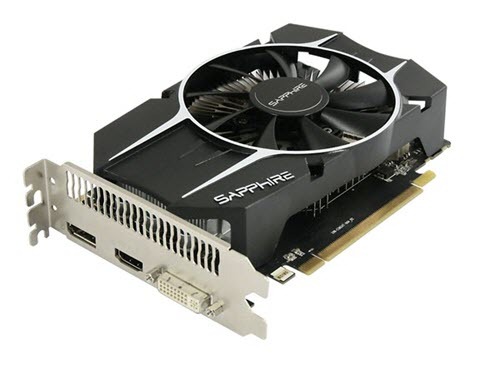 Thanks for your reply.. what about Sapphire rx 550?? It is an entry level card and not as powerful as the GTX 1050. Thanks.. but i doubt that zotac 1050 mini will fit in my cabin??.. presently I am having Sapphire r7 240 1GB ddr5. It is a compact card and can fit in most of the cases. Thanks bro.. one last query.. Presently I am having Corsair value 4gb ram. Can I use any other brand 4 gb ram to make 8gb?? You can but make sure it is of same frequency and has same latencies. Generally it is not a good idea to mix RAM from other brands. Home ? Professional ? Ultimate? which one? Windows 7 Home Basic (64-bit) can only detect and use up to 8GB of RAM. To use more than 8GB of RAM you need to use Windows 7 Professional or Ultimate versions. Thanks bro, I will try that. I bought Zotac 1050 mini 2gb graphics card and fitted perfectly. I tried to connect the card to my Dell monitor which is only having VGA port. I tried using a dvi – VGA adapter. But monitor displays “no VGA cable”. Pls help to sort this out. Hi I want to play Fifa 18, pls suggest me a graphic card under 6k. Go for Zotac GT 1030 2GB GDDR5.